Training is open to anyone who is at risk of an opioid overdose or their family and friends. 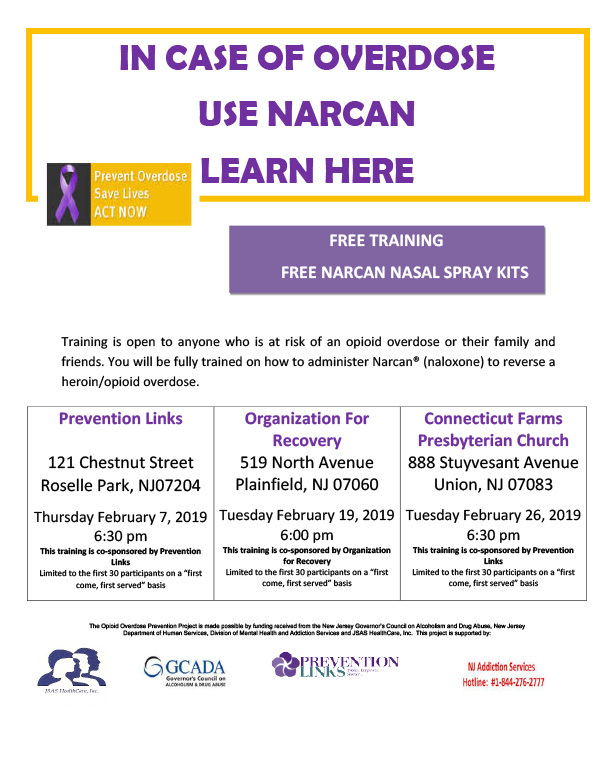 You will be fully trained on how to administer Narcan® (naloxone) to reverse a heroin/opioid overdose. Click the image below for a PDF of the flyer.